On to the good news! 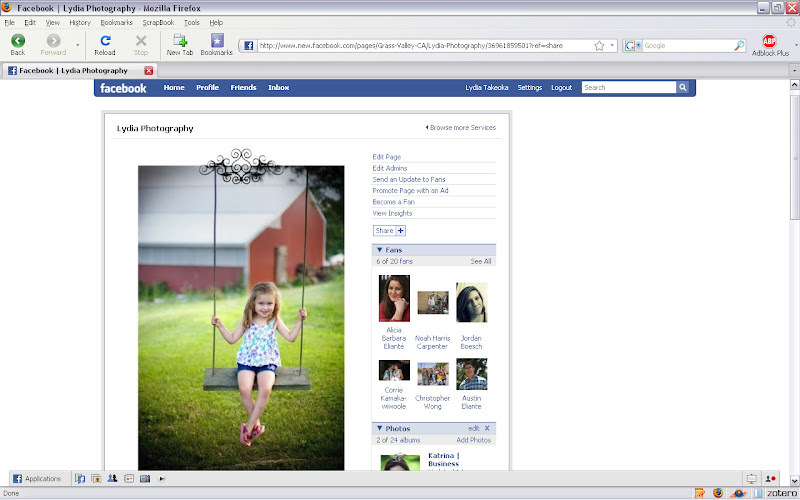 Lydia Photography has a Facebook business page! Now you can easily show off your pictures to your friends! Become a fan and ask for your pictures to be tagged if they aren't already. So while I still can't get my header picture to show up and things may continue to look crazy now and then as I keep trying, I think I'll stick to living in the 21st century. I may have a few days where I feel insane because I think my hard drive is crashing, but there's no way I could go back to film, a dark room, and paying to see if my prints turned out right!